Let’s start at the front door with Ann of On Sutton Place. Ann makes the most beautiful wreaths. 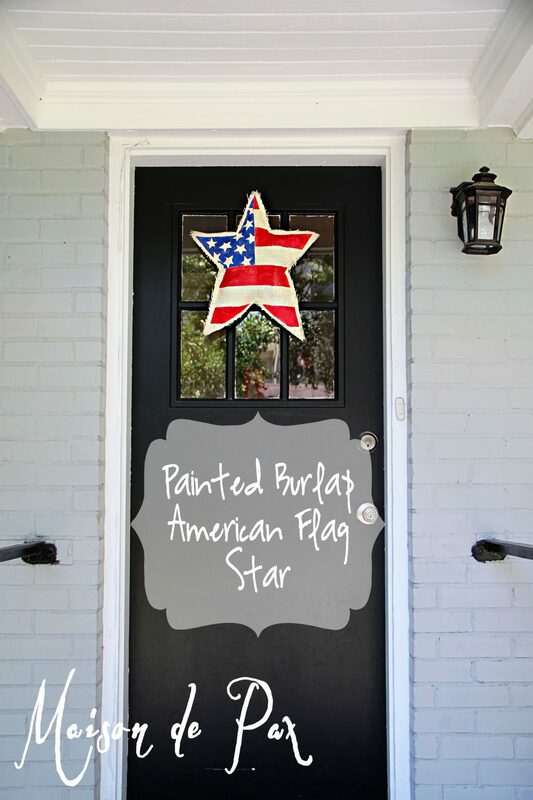 Her front door and porch welcome visitors and the season while decked out in tasteful red, white and blue. I lone how Shirley incorporated sunflowers and that everyone got a goodie box! How about dessert? A major priority in my book… and you’ll want something that goes hand in hand with America the beautiful – Apple Pie. Summer is a great time for visit and travel, too… Do you have friends staying the night? 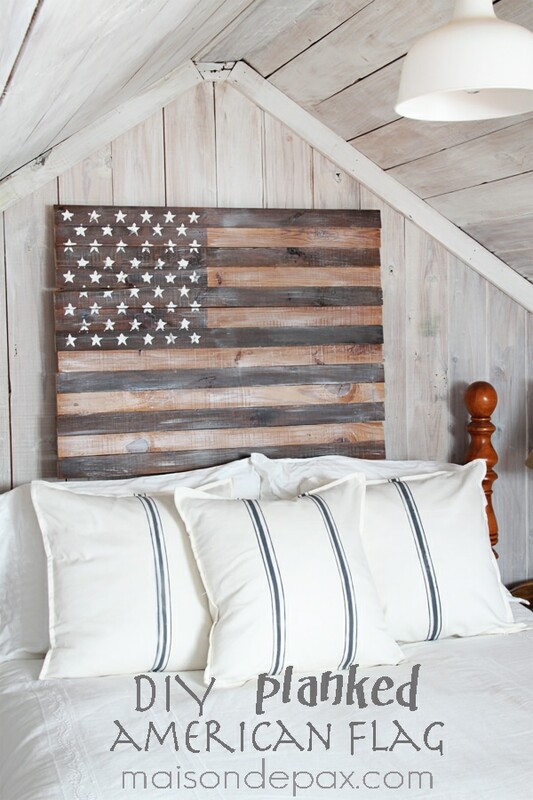 Don’t be caught with your flags down – have your guest room decked out in patriotic flair like Kim of Savvy Southern Style! Aren’t the flags in the ironstone pitcher simply perfect? This is something you could do way ahead of time, unlike flowers. Not hosting, but being hosted? Whip up a few webbing wine bags by Kelly of My Soulful Home. That way, you’ll have a hostess gift at the ready for all your summer socializing. Not wine drinkers? Try a bottle of estate olive oil or aged balsamic vinegar. Always a welcome gift. 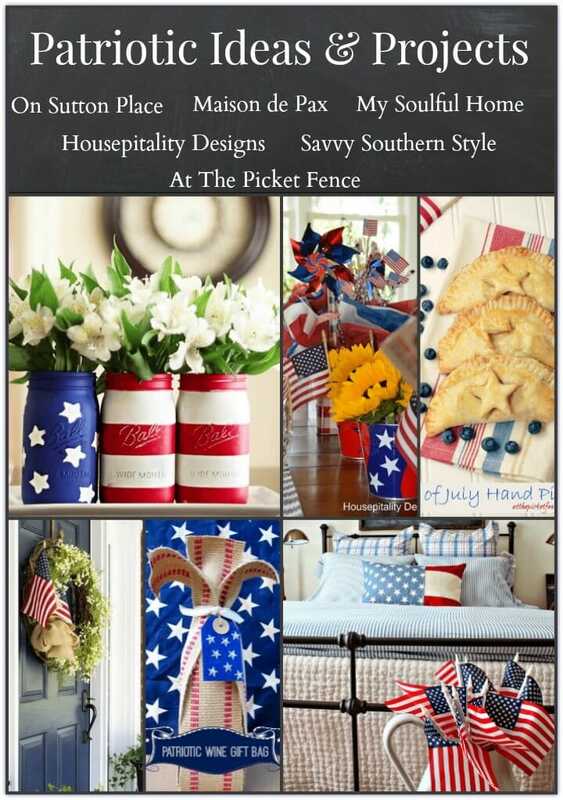 Click on thru to each of the blogs to get the tutorials, recipes, and more inspiration for celebrating and decorating from Memorial day to Labor Day! 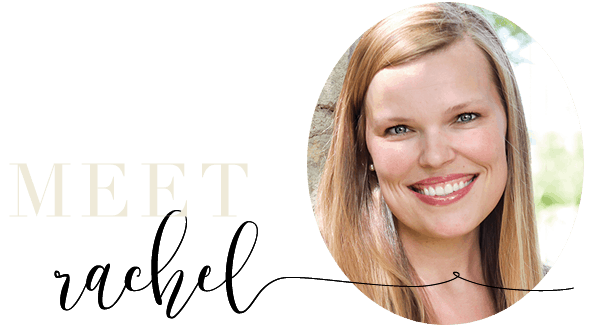 I so love your Mason jar project Rachel. I have already set aside 3 Mason jars to do this project with my granddaughter….Love it!….Great partying with you today Rachel…love your other wonderful patriotic projects too!! just beautiful. love them all!